My interview with Nat Geo WILD's Dr. Pol! HomeMy interview with Nat Geo WILD's Dr. Pol! Nat Geo WILD cameras have followed Dr. Pol for nine years, shadowing him as he saves lives, births baby animals large and small and cares for thousands of species throughout rural Michigan. Dr. Jan Pol has been a practicing veterinarian for more than half his life. 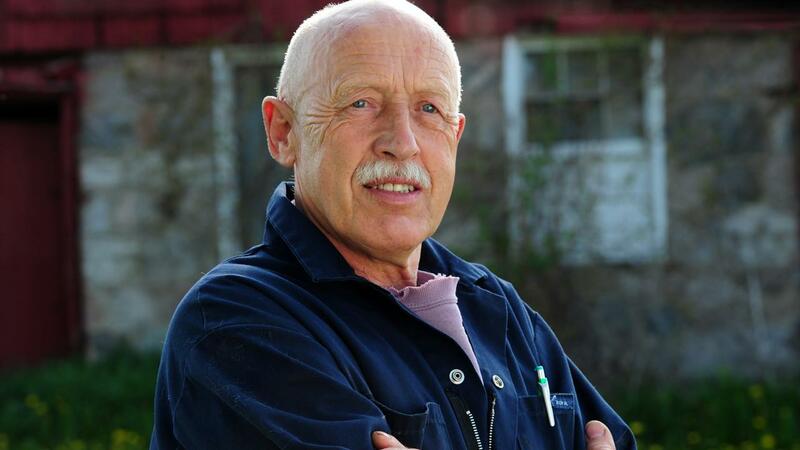 In 1981 he and his wife, Diane, opened a vet business out of their home and with 100,000 patients, Dr. Pol has seen it all. Specializing in large farm animals, this senior is anything but retiring as he takes an old school, no-nonsense approach to veterinary medicine. Unflappable and unstoppable, this Doc routinely puts in 14-hour days and is a legend in the community. Set in Central Michigan's farm country, this reality series follows the work done at Pol Veterinary Services. Specializing in large farm animals, Dr. Pol treats horses, pigs, cows, sheep, alpacas, goats, chickens and even an occasional reindeer. My 9-year-old daughter and I watch this how every week. It comes on Saturdays on Nat Go Wild at 9/8 C. We love watching him treat and care for animals and I am amazed at how he just "jumps in" when a cow is needing assistance with giving birth. Lydia has been wanting to be a vet for quite some time, when I had the chance to interview Dr. Pol, I could not pass it up. Check out my interview below! What is a favorite animal of yours that comes into the office or you get to visit and care for? Dr. Pol: My favorite animal is a healthy animal. I went to school to help animals get healthy so if an animal comes back healthy, that is my favorite animal. Dr. Pol: The most difficult situation with an animal has been when working with a rodeo bull, they are trained to get rid of anything on their backs, so I had to be very cautious and patient. But anytime an animal is frightened, it is difficult. If a person that is looking to get into your line of work asks for one piece of advice that you wish you would have known before you started, what would you tell them? Dr. Pol: Keeping your grades up is the most important thing. But, also, shadowing vets. We have lots of students in all ranges, high school, vet technicians, college, etc. come to shadow at our clinic. Getting in hours with a veterinarian is very important. Has having your show on Nat Geo changed your life in any way? If so, how? 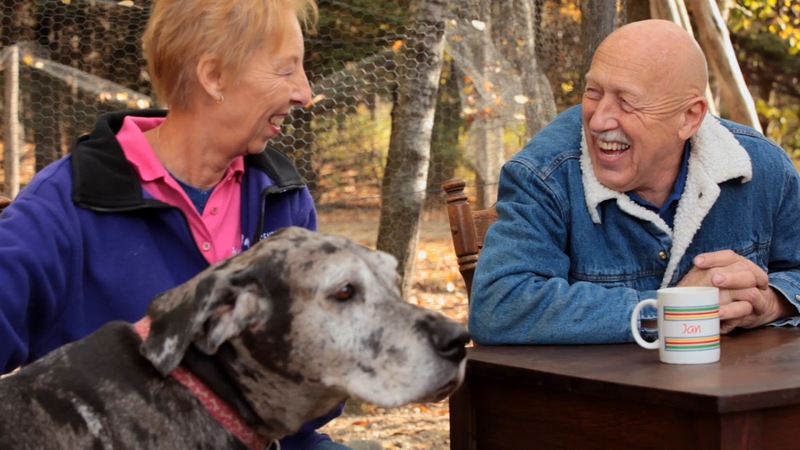 Dr. Pol: It brings a lot of attention from all over the world to our practice. I received over 200 visitors to the practice from The Netherlands, this year alone. How do you balance personal life with your busy vet schedule? Dr. Pol: It makes it easier that I work with my family, so I am able to spend time with them every day while being able to work. It is a joy. I hope that you enjoyed my interview with Dr.Pol! Be sure to tune in on Saturdays on Nat Go Wild at 9/8 C. You can watch full episodes online here too! 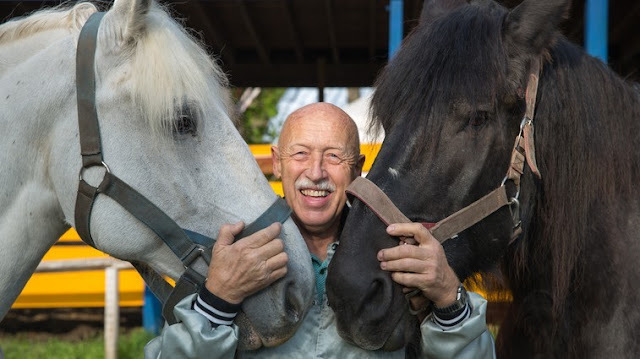 Visit Dr. Pol on his social media below! How is it that I have missed this show? I love animals and am going to have to watch it now. I have to find this show for my daughter! She would love this show! She wants to be a Vet one day! Mine too! She is obsessed with it! Sounds like such a cool man! I've never watched this show so will have to keep an eye out for it! Oh he is SO silly! I love it! I haven't seen this show, but I'd definitely love to watch! People who love animals so passionately, are the best. I agree. You can tell he is so passionate! Great interview. Can't wait to watch this show with my family. I must remember to watch this! Sounds wonderful! A change of pace! I love what he does, I would like to watch that show now. Never knew about this show, going to have to watch this with my daughter, she would love this. It is a really good show! Such a wonderful passion for animals, great interview! He does have a passion and it is pretty amazing to see! YES! His his shenanigans in the office is just too funny! He has a sense of humor that I love. Great questions! I loved this — and my kids would love this show. I hadn't heard of it before now. It is a must watch for the weekend! Will have to watch this! With vet tech in the family, it is interesting the issues that he has had to work with. I never knew how much they had to deal with until this show. Then my 9 year old became obsessed with wanting to be a tech.. until the parts in the show there they castrate bulls hah. Awe! What an awesome interview! What a great guy! Great interview, my kids love this show! My daughter also wants to be a vet and loves this show! Great interview. I haven't seen his show on TV before but it sounds great! I like that rodeo bull part of the interview! Fun interview! I love his show!